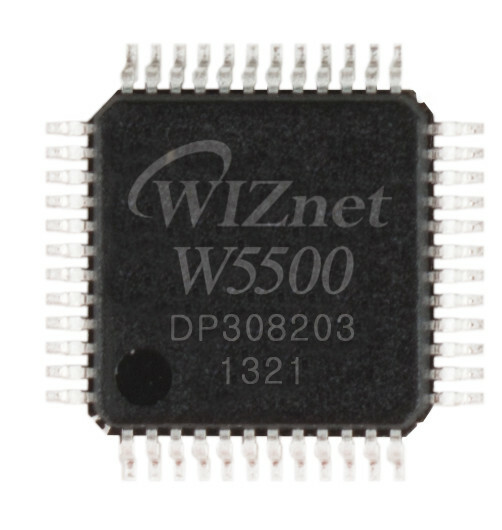 The W5500 chip is a Hardwired TCP/IP embedded Ethernet controller that enables easier internet connection for embedded systems using SPI (Serial Peripheral Interface). W5500 suits users in need of stable internet connectivity best, using a single chip to implement TCP/IP Stack, 10/100 Ethernet MAC and PHY. Hardwired TCP/IP stack supports TCP, UDP, IPv4, ICMP, ARP, IGMP and PPPoE..